Incorporating the most important advances in the fast-growing field of cancer biology, the text maintains all of its hallmark features. It is admired by students, instructors, researchers, and clinicians around the world for its clear writing, extensive full-color art program, and numerous pedagogical features. 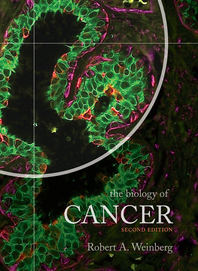 For access to student resources, please go to digital.wwnorton.com/cancer2. This text is written by one of the preeminent cancer biologists of the last 40 years. The information within unfolds through the presentation of key experiments. This gives readers a sense of discovery while providing insights into the conceptual foundation of modern cancer biology. Research data, by its very nature, is a visual medium. The art program emphasizes this fact to help readers truly understand key principles. Full-color figures present the latest research in vibrant and precise detail. These figures are accompanied by equally detailed figure captions. Cancer biology is a rapidly advancing field, with new discoveries constantly appearing in the primary literature. The text combines a research-oriented approach with a clear, engaging narrative. These elements work together to help students read and interpret data-based information. Additional features further prepare students to read primary-research literature.